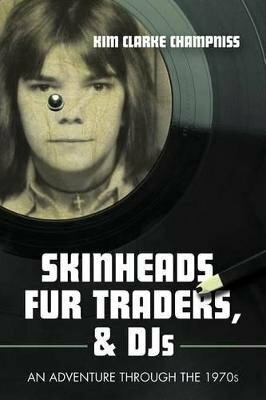 The true story of a legend of Canadian pop culture broadcasting and the way he got his start in the 1970s: working as a fur trader for the Hudson's Bay Company in the Northwest Territories and then moving on to DJing in disco-era Vancouver. A true story of an adventurous pop-loving teenager who, in the early 1970s, went from London's discotheques to the Canadian sub-arctic to work for the Hudson's Bay Company. His job? Buying furs and helping run the trading post in the settlement of Arviat (then known as Eskimo Point), Northwest Territories (population: 750). That young man is Kim Clarke Champniss, who would later become a VJ on MuchMusic. His extraordinary adventures unfolded in a chain of On the Road experiences across Canada. His mind-boggling journey, from London to the far Canadian North and then to the spotlight, is the stuff of music and TV legends. Kim brings his incredible knowledge of music, pop culture, and the history of disco music, weaving them into this wild story of his exciting and uniquely crazy 1970s.